This post introduces an example Play where the base form is the ruin of an old Portuguese farmhouse and the player is asked not to alter the ruin other than add to it with contemporary materials and components to make a coherent whole. As usuals with DesignPlays no ‘program’ is given but the capacity for possible use should emerge from the form itself. The particular play example shown here touches on the issue of the combination of two or more architectural systems, each under control of a different designer. The challenge is to arrive at a coherent whole, where the handling of each of the systems is doing justice to its characteristic properties. In this case we have an interaction between designers who are separated in time and whereas the last designer must respect and enhance what is left of the earlier design. 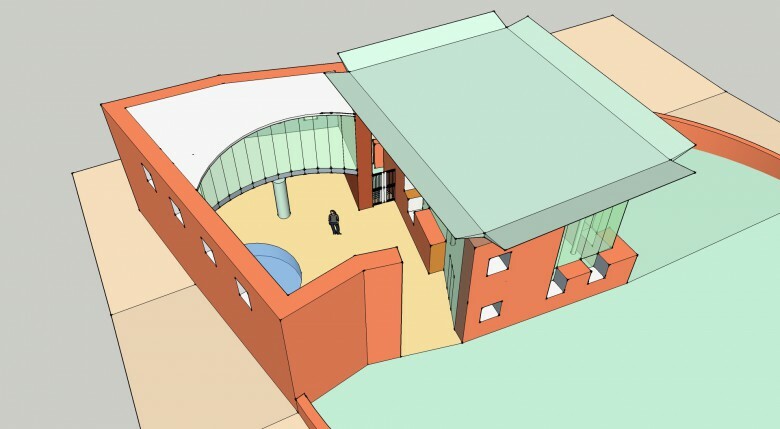 A SketchUp model of the ruin is available under the category ‘baseforms’.